When most people think of a family with children, they would think that family would be ecstatic about having a pool in their backyard. In reality generally the opposite is true, families with small children, often panic over having a pool in their backyard. 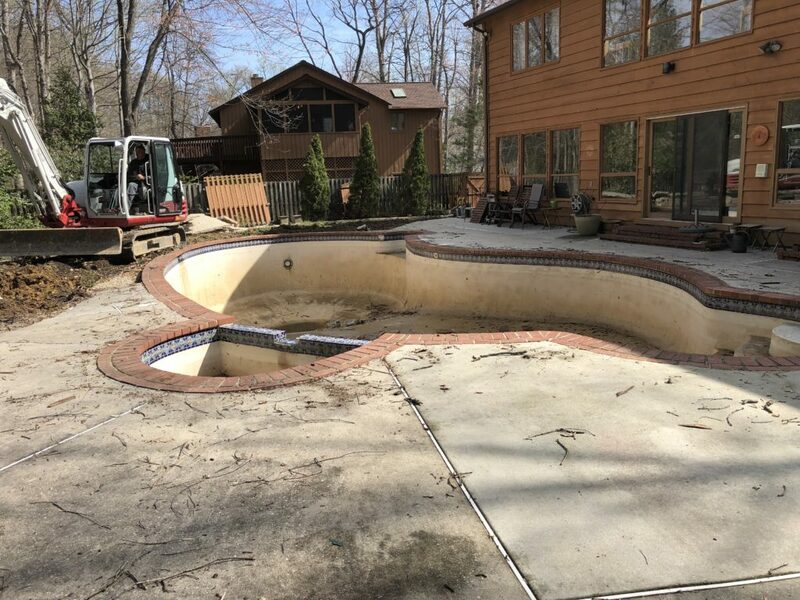 In this case, the pool also took up the entire backyard and the home owners wanted an area for a play set and for the children to be able to play. As you can see from the after pictures, the home owners now have re-gained the entire back yard and their small children have a large backyard to play in; with out their parents having to fear about them falling in the pool. 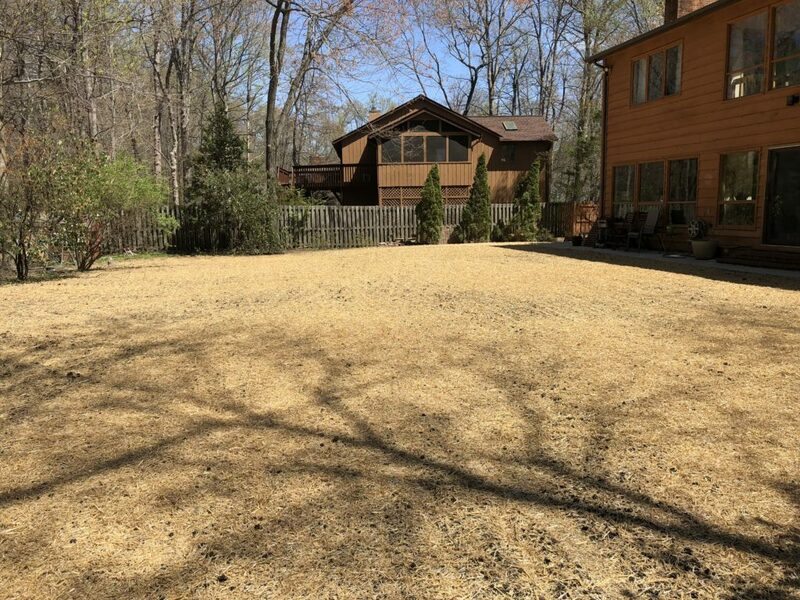 Carroll Bros. removed the pool and the surrounding concrete patio, used filler dirt and graded the land, than added seed, top soil and straw to help this home owner reclaim their backyard.